You're seeing this page because you tried to access a protected area on the website and you haven't logged in. Don't worry, it's not a bad thing, the web police isn't looking for you! 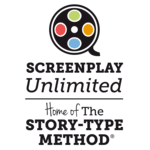 It's just that while a lot of content on SCREENPLAY UNLIMITED is made available to everyone, some parts of the website, while still free, are only accessible if you register. For example, you need to register to use our interactive story tool, The Structurator®, and access some other free content, such as case studies. Also, some areas - for example the online documentation made available after an event - are only accessible to participants of our Advanced Development Workshop or to the members of the audience of a presentation. Finally you need to register to post comments or leave a testimonial. Registering is entirely free. It subscribes you to our newsletter so you can be the first to know when new content is posted here. So please register (or log in if you're already registered) and get instant access to even more free content! If you're attended one of our workshops / events, please let us know once you have registered so we can upgrade your account and unlock access to your online documentation.